NBA is widely known as one of the most popular sports leagues in the entire world and also the premier men’s professional basketball league. 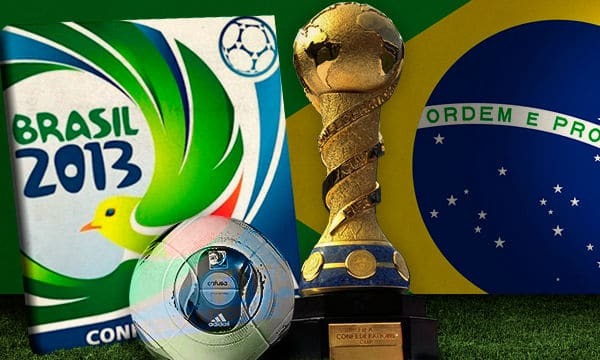 It is the birthplace of amazingly skillful athletes and also a development center of legendary stars. The first basketball organization of North America was established in 1946 as the Basketball Association of America in New York City. That association was merged with its rival National Basketball League and got a fresh star as National Basketball Association or NBL in 1949. The major team’s head offices now control the international and individual team offices from the Olympic Tower in New York City. NBA Entertainment and NBA TV studios are also major contributors of the NBL. Today NBA players are not only popular on the court but also outside. They get as much popularity as the Hollywood stars. Starting from rapping to acting, they are everywhere outside the basketball career. And here is the list of top 10 greatest NBA players of all time. Former American basketball player Michael Jordan is widely regarded as the greatest basketball player of all time and one of the best defensive players in basketball history. He played a total 15 seasons for the Chicago Bulls and Washington Wizards in the National Basketball Association. Jordan joined the Chicago Bulls in 1984, and he led the Bulls to NBA championship for the first time in 1991. His amazing career is studded with fourteen NBA All-Star selections, ten All-NBA First Team selections, ten scoring titles, nine All-Defensive First Team honors, five Most Valuable Player, six NBA Finals MVP Awards, three All-Star Game MVP Awards and three steals titles. He was named NBA Defensive Player of the Year in 1988. 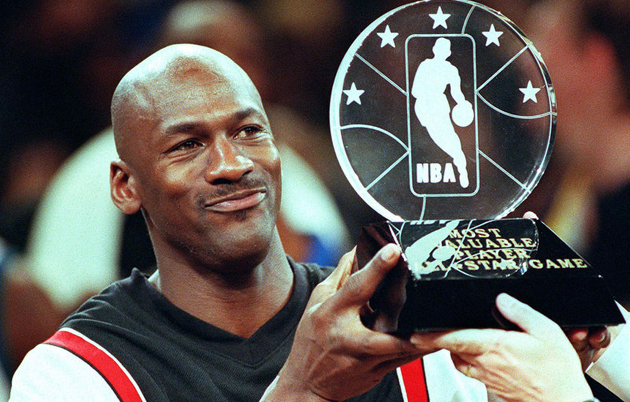 Jordan also became Sports Illustrated Sportsman of the Year in 1991. Besides NBA, his film Space Jam with Looney Tunes was a huge success and grossed over $230,000,000 internationally. Retired American basketball player Kareem Abdul-Jabbar was widely known for his trademark “skyhook” shot. He played a total 20 seasons for the Milwaukee Bucks and Los Angeles Lakers in the National Basketball Association. He was drafted by the Milwaukee Bucks in 1969 NBA Draft as the first overall pick, and he was traded to the Lakers in 1975. His marvelous career is studded with a record nineteen NBA All-Star, fifteen time All-NBA selection, eleven NBA All-Defensive Team member, a record six-time NBA Most Valuable Player and also two NBA Finals MVP. He was named as one of the 50 Greatest Players in NBA History on NBA’s 50th Anniversary in 1996. He was named The Greatest Center of All Time by ESPN in 2007 and also voted as the greatest player in college basketball history in 2008. 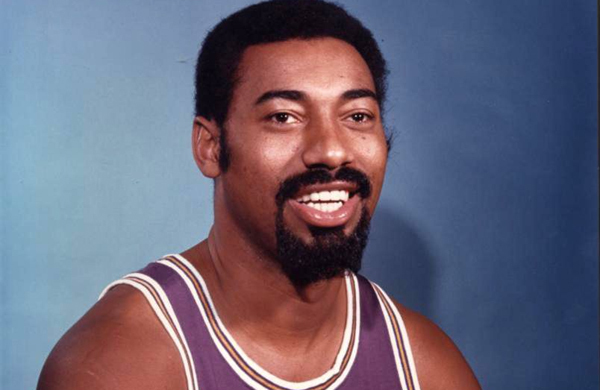 Former American basketball player Wilt Chamberlain is widely considered one of the most dominant players in NBA history. He played for San Francisco Warriors, the Philadelphia 76ers and the Los Angeles Lakers in the National Basketball Association during his career from 1959 to 1973. His career as a center was adorned with thirteen All-Star Games, ten All-NBA First and Second teams, four regular-season Most Valuable Player awards, one NBA Finals MVP award, the Rookie of the Year award and two NBA championships. He was also a member of NBA’s 35th Anniversary all-star Team of 1980. Chamberlain was inducted in the Naismith Memorial Basketball Hall of Fame in 1978 and selected as one of the 50 Greatest Players in NBA History in 1996. Besides his NBA career, he was also casted in Conan the Destroyer. 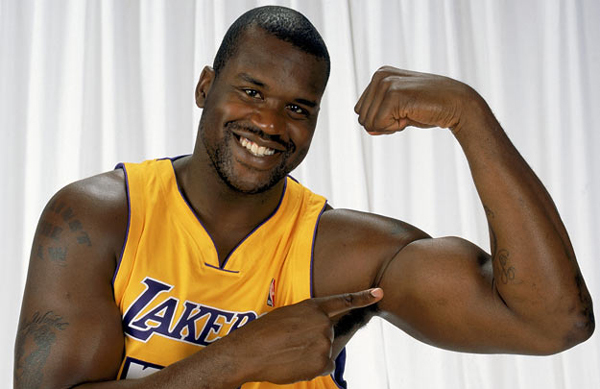 American retired basketball player Shaquille O’Neal was one of the heaviest players ever to play in the NBA with his weight over 325 pounds. He was drafted by the Orlando Magic in the 1992 NBA Draft as first overall pick. His career from 1992 till 2011 was decorated with fifteen All-Star game selections, fourteen All-NBA team selections, three NBA All-Defensive Team selections, one regular-season Most Valuable Player awards, three All-Star Game MVP awards, two scoring titles and NBA Rookie of the Year award. He is the only player besides Willis Reed and Michael Jordan to achieve NBA MVP, All-Star game MVP and Finals MVP awards in the same year. With his 58.2% field accuracy, he was ranked 3rd all-time in field goal percentage. Besides NBA, he is also famous as a rapper and an actor. 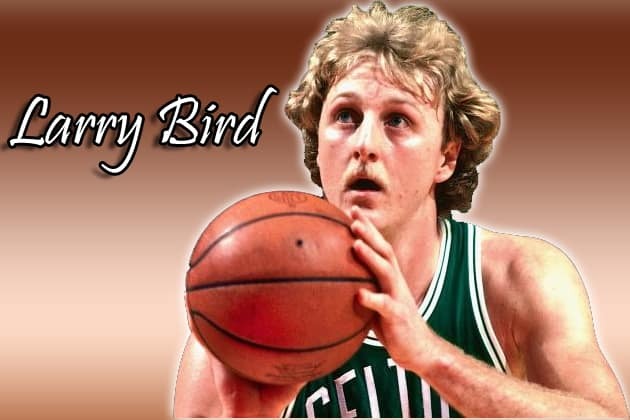 American former basketball player Larry Bird played his entire professional career for Celtics. He was drafted by the Boston Celtics in 1978 NBA Draft as the sixth overall. His powerful career as small forward and power forward was enriched with twelve NBA All-Star, three Most Valuable Player of NBA, two NBA Finals MVP awards and three NBA championships for the Celtics. Besides NBA, he was also a team member of the 1992 United States men’s Olympic basketball team and won gold medal at the 1992 Summer Olympics. He was inducted into the Naismith Memorial Basketball Hall of Fame in 1998 and inducted again as a member of the Dream Team in 2010. He secured his place in NBA’s 50th Anniversary All-Time Team in 1996. He is the only person to achieve Most Valuable Player, Coach of the Year and Executive of the Year. 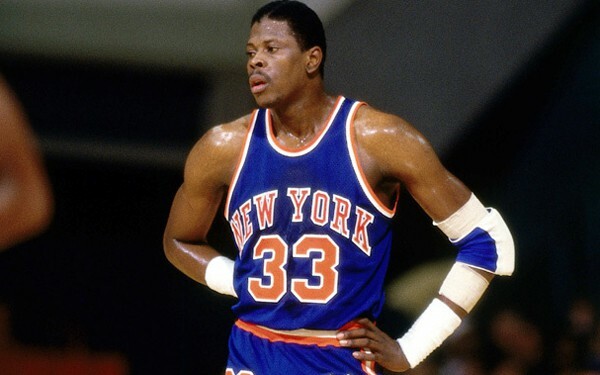 Retired Jamaican-American basketball player Patrick Ewing played most of his career in the New York Knicks. He played for New York Knicks, Seattle SuperSonics and Orlando Magic as a center during his career from 1985 to 2002. His 18-season career is studded with eleven All-Star, seven All-NBA First and Second Team, three NBA All-Defensive Second Team, Rookie of the Year and NCAA Basketball Tournament Most Outstanding Player. Besides NBA, he is also a member of United States men’s Olympic basketball teams and won Olympic gold medals in 1984 and 1992. He was inducted as a NBA player in the Basketball Hall of Fame in Springfield in 2008 and as a member of the 1992 Olympic team in 2010. Patrick was also selected as one of the 50 Greatest Players in NBA History. 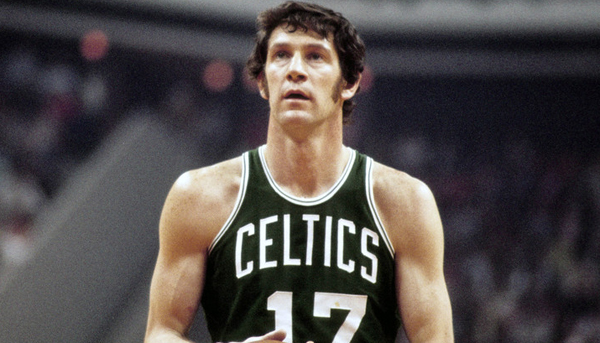 Retired American basketball player John Havlicek was a pioneer member of Boston Celtics and widely considered to be one of the greatest players in the NBA history. 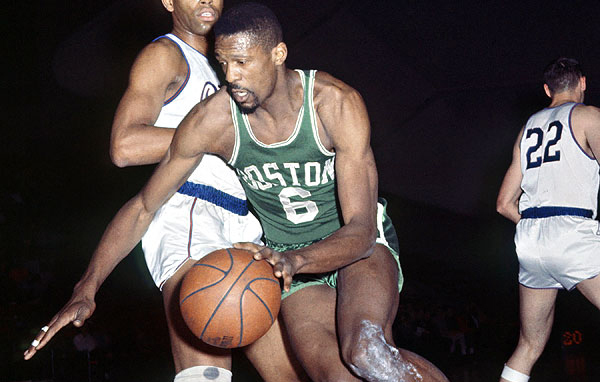 He was drafted by the Boston Celtics in 1962 NBA Draft as the seventh overall. During his 16 seasons with the team, he led Celtics to NBA championship a record eight times. He also achieved thirteen NBA All-Star, eleven All-NBA First and Second Team, Five NBA All-Defensive First Team, three NBA All-Defensive Second Team, NBA Finals MVP and NBA All-Rookie First Team. His No.17 jersey was immediately retired from the NBA after he retired in 1978. To honor his contribution, the Bridgeport High School Gymnasium was renamed the as the John J. Havlicek Gymnasium in January 2007. Havlicek was inducted in the Naismith Memorial Basketball Hall of Fame in 1984. Retired American basketball player Elvin Hayes was the first African American basketball player in the University of Houston in 1966. He was drafted by the San Diego Rockets in 1968 NBA Draft as the first overall. 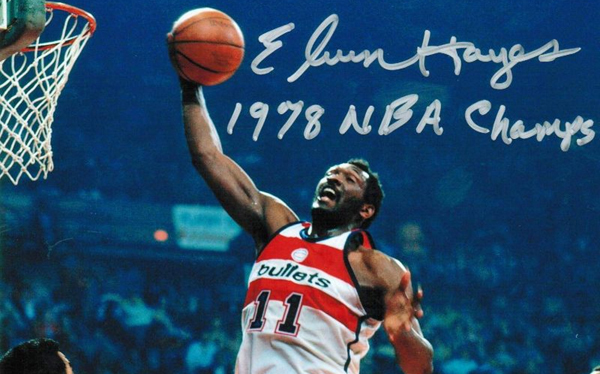 He played for San Diego Rockets and Washington Bullets during his career from 1966 to 1984. He became the NBA champion in 1978 and also achieved twelve NBA All-Star consecutively. His amazing career is embellished with six All-NBA First and Second Team, two NBA All-Defensive Second Team and NBA All-Rookie First Team, and he also became the NBA scoring champion in 1969. Hayes was named to the NBA’s 50th Anniversary All-Time Team in 1996. He was inducted in the Naismith Memorial Basketball Hall of Fame in 1990 and San Diego Hall of Champions into the Breitbard Hall of Fame in 2003. Retired American basketball player Bill Russell won eleven NBA championships and became the centerpiece of the Celtics dynasty. He was drafted by the St. Louis Hawks in 1956 NBA Draft as the second overall. He was the captain of the U.S. national basketball team and won a gold medal at the 1956 Summer Olympics. He played his whole career as a center for Boston Celtics starting from 1956 to 1969 and became the NBA champion for a record eleven times. His amazing basketball career is studded with twelve NBA All-Star, eleven All-NBA First and Second Team, four NBA rebounding champion, five NBA Most Valuable Player and NBA All-Defensive First Team. He was inducted in the NBA 25th Anniversary Team, 35th Anniversary Team and 50th Anniversary Team. 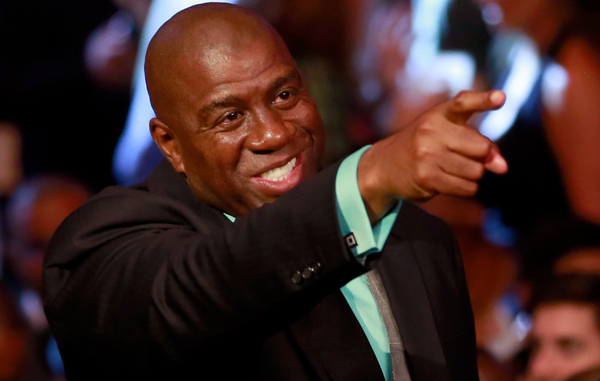 Retired American basketball player Magic Johnson is the NBA’s all-time highest in average assists per game with 11.2. He was drafted by the Los Angeles Lakers in 1979 NBA Draft as the first overall and won 5 NBA championships for the team. He played as a point guard for the Los Angeles Lakers in his entire career from 1979 to 1991 and became the coach of the team in 1994. After his retirement, he again returned to the game for Lakers in 1996 at the age of 36 and played a brief season consisting of 32 games, after which he retired, finally. His superb basketball seasons were studded with twelve NBA All-Star, ten All-NBA First and Second Team, three NBA’s Most Valuable Player, three NBA Finals MVP, two NBA All-Star Game MVP and four NBA assists leader. He was also voted in the NBA’s 50th Anniversary All-Time Team in 1996. There are many interesting trivia about the NBA stars which have always created amusements for the basketball fanatics. 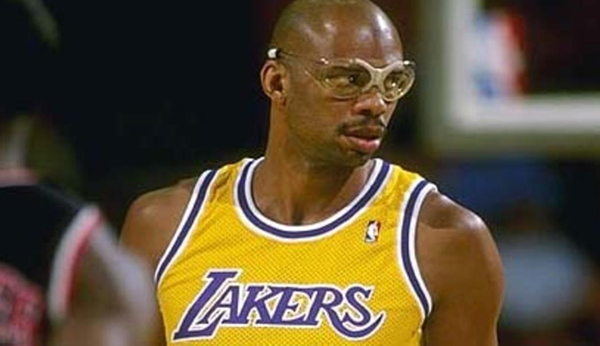 One such fact is that, all-time leading scorer Kareem Abdul-Jabbar scored a single 3-point shot in his entire 20 season career. As far as the basketball fanatics are concerned, the taller-than-7-feet American males have a 17% chance of playing in the NBA according to surveys.